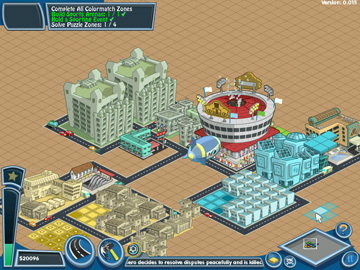 From the creators of The Sims comes a unique city-building simulation game with a puzzle twist. Drop the falling, color-coded blocks into place to assemble the best possible city! Build industrial, commercial, and residential neighborhoods in two fun modes! 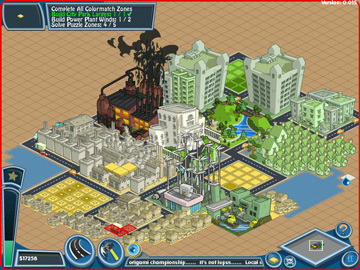 As a new city mayor, rebuild and improve your city in Story modes 25 unique neighborhoods. 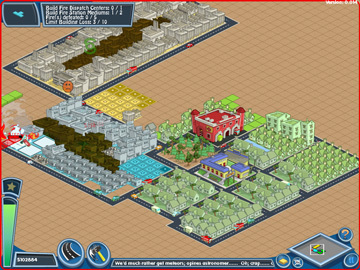 You can also build the city of your dreams in Creativity mode. The fun never stops as you save your city from natural disasters, man-made catastrophes, even out-of-this-world alien attacks! Play through Story mode’s 25 unique neighborhood levels! 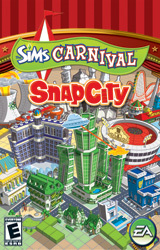 The fun never stops as you take on a wide range of ever-changing challenges including traffic, interactive building effects, and natural and other disasters!